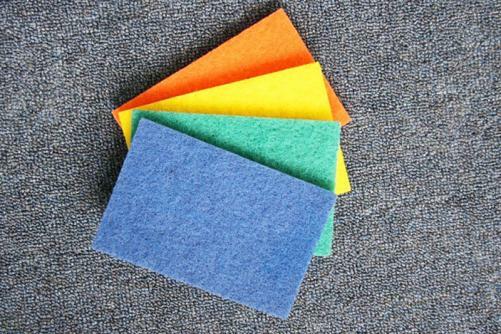 You can buy good quality Abrasive Scouring Pad, we are the best distributor in Chinese market. Material: High-quality abrasive which has very strong abrasive cleaning ability, rapid and effective in removing dirt and stains. 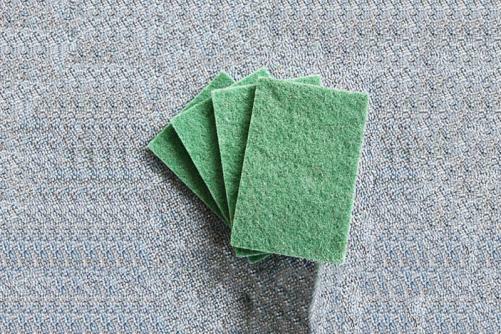 Also because the abrasives are laid out evenly in the whole scouring pad, the use effect and service life will be longer; Synthetic fiber which is constituted by non-woven fabric technology, forming open porous structure of the whole scouring pad. It can accommodate a lot of dirt and stains in the scouring pad and they won’t be accumulated in the surface of the scouring pad which may cause incomplete cleaning. 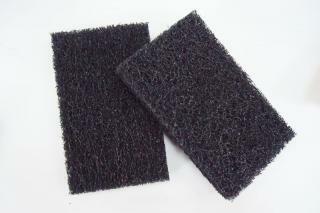 Furthermore, scouring pad itself is easy to be washed by water and won’t affect the next-time use. 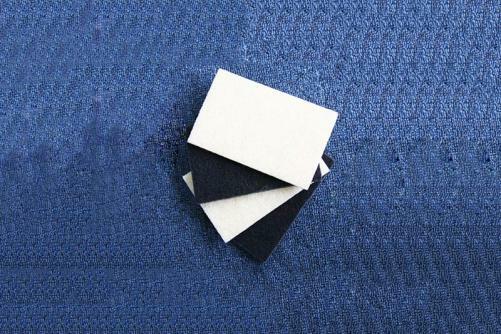 Product size: 0.7*11*15 cm, can be made to order in light of customer’s requirement of sizes or shapes. Product packaging: Based on customer’s requirement. Product color: blackish green, can be adjusted in light of Pantone card. 1.Strong ability of stain removing: It contains special abrasive particles with good quality, which can remove all kinds of stubborn stains. 2.Anti-bacteria: With a formula of anti-bacteria, it can effectively inhibit the breeding of bacteria and no odor will be engendered. 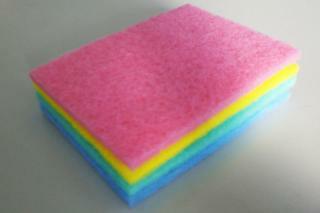 3.Diversified function: applied to different style of scouring pad according to different cleaning surface. This style is widely applied to the cleaning of the surface of hearth, sink, pot, bowl, ceramic tile and pottery.